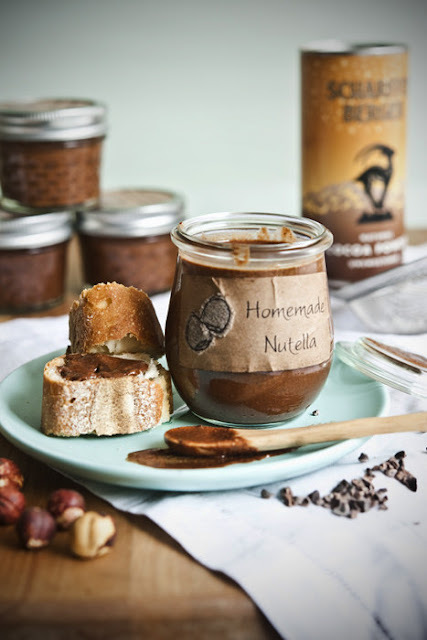 Homemade Nutella- Hello everybody, welcome back with ZetiraKitchen! today i want share to you how to make Homemade Nutella. Who doesn't like Nutella? smooth chocolate with creamy hazelnut mix into one perfect jam. We can make it easy at home with ingredients that are easy to find, we can measure it as we like. let's to make it! Scrape your homemade nutella into a jar and let it cool to room temeprature.